Below and above your eyes! Rich creamy formula firms, tones and smooths both above and below the eye. 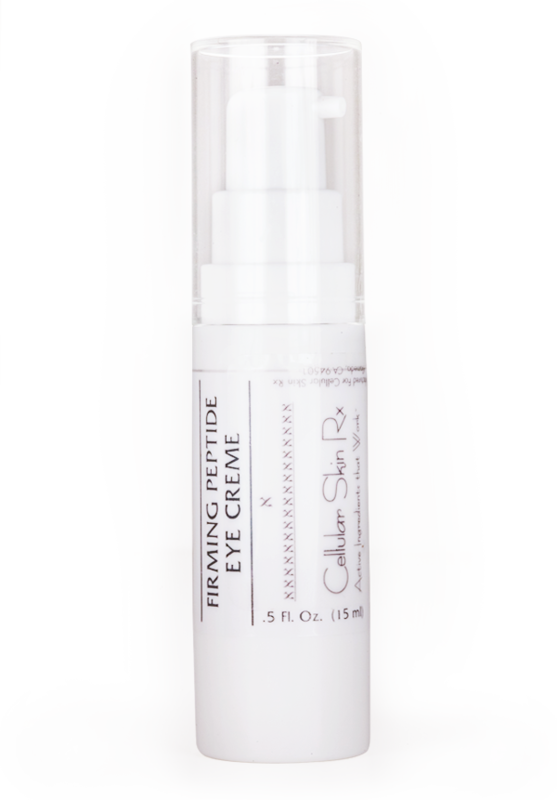 Firming Peptide Eye Creme creates the perfect moisture balance in the delicate eye area. The technologically-advanced lipo-peptides, Palmitoyl Oligopeptide and Palmitoyl Tetrapeptide-7 (Matrixyl 3000), renew skin’s firming mechanism to visibly return eye contours to a more youthful-looking state. Anti-enzyme plant extracts (grapeleaf, black currant, passionflower, chlorella vulgaris) protect skin firmness and defend against future signs of aging by increasing cellular energy. Ultra-hydrating blend of algae and sea water (pheohydrane) smooths away fine lines and revitalizes skin’s natural barrier function. Long-term effect keeps skin plump and moist for up to one week. Skin feels and looks soft and hydrated. This special formula does not contain any fragrance, colorants or parabens that can irritate the delicate eye area. For a more intensive moisturizing experience for the mature, dry eye area, consider Intensive Eye Treatment Creme. Apply a small amount to area above and below the eye. Store in a cool, dry place.